Zyante is developing innovative technology to make (STEM, lower division) undergraduate instruction more effective and efficient. Learning-centric, animated, interactive STEM - science, technology, engineering, math - content and teaching tools to disrupt conventional textbooks and to enable instructors to deliver a superior learning experience at lower costs. Core technology includes state-of-the-art authoring tools & a robust distribution platform. Addressing $1.7B opportunity in STEM education. Over 8000 users at 45 leading universities. 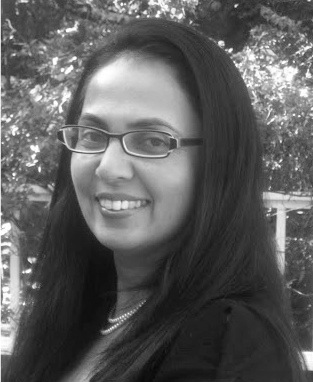 Smita brings over 15 years of experience in enterprise software and education. She was an assistant professor at UC Davis, and subsequently held leading roles in product management, business development and engineering at Symantec and Synplicity (a successful start up, now part of Synopsys) on several enterprise software products. She has a Ph.D. in Computer Science from UC Irvine and an MBA from Harvard Business School. Frank has been a professor at UC Riverside in the Computer Science department since 1994. He has co-­‐ authored 5 textbooks used in hundreds of colleges worldwide, including several leading universities, and published over 120 research publications. He is also the recipient of several teaching awards. At Zyante, Frank is leading the development of the content and the framework. Frank has a Ph.D. in Computer Science from UC Irvine.